Last Thursday’s Digital Technology Planning Day 2018 rocked. There are no two ways about it. If you came, you know what we’re talking about. However, if you didn’t come, we’re sure you had a GREAT reason not to miss one of our BIGGEST events of the year. Things happened that you need to know about, so let’s catch you up! We plan #DTPD for YOU! And you know what, YOU ROCK. Thank you for coming! Thank you for navigating parking. Thank you for asking curious, honest questions! Thank you for racking up a big bar tab! #DTPD18 doesn’t happen without our sponsors. We appreciate each and every one of our sponsors for putting together insightful and engaging content for our membership. 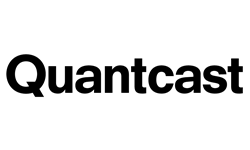 We particularly appreciate Quantcast for their content sponsorship and Choozle for picking up that bar tab mentioned above. Can’t wait to see all of you next year! Lastly, thank you to the entire LVIMA Board. Without their tireless volunteering and sacrificial blood, sweat and tears, #DTPD18 doesn’t happen. A heartfelt thanks to each of you for whatever thankless action you took to push the event forward towards success. You’re a gem, and we’re all grateful for your generosity. LVIMA is back to local leadership. Darth Lynn has followed through on her word to conquer life on Planet Montana. In her place, Princess Brandie Feuer and her Jedi guards Chris Evans and Ben Laifsky, have commenced leading our alliance into a new ere. We even made a video about it. We know media planning is more challenging than ever, which is why we convened a panel of all-stars to tackle the subject. Quantcast’s Steve Feldman, Station Casinos Vice President Lou Ragg, UFC Vice President Peter Stringer and our very own LVIMA Board Member Chris Evans from R&R gave you what you wanted – candid thoughts and insights on the latest strategies, tactics and technology. A big thank you to CATALYST CEO/General Partner John Durham for moderating the panel of heavy hitters! IMI for transporting us to the ’80’s with a sneak peek of the Battle of the Bands. Brett & Netmining for bringing The Greatest Showman. No one saw it coming. Hard Rock Cafe for a dynamite venue, a remarkable view and outstanding service. Watch this space for continued announcements about our event sponsors.